Scleral contact lenses are a type of RGP (Rigid Gas Permeable) lens used for conditions such as keratoconus and pellucid marginal cornea degeneration. However, incorrect care of scleral contact lenses and solutions can increase the risk of eye infections and corneal ulcers. Risk factors for acquiring an eye infection include improper lens cleaning and disinfection, poor hygiene practices and smoking. Following your practitioner’s hygiene regime, along with regular reviews, will minimise this risk. Orthokeratology is a safe, reversible and effective vision correction solution. However, incorrect care of contact lenses and solutions can increase the risk for eye infections and corneal ulcers. Risk factors for acquiring an eye infection include improper lens cleaning and disinfection, poor hygiene practices and smoking. Following your practitioner’s hygiene regime, along with regular reviews, will minimise this risk. Step 1 Remove lenses from the cleaning solution case and rinse with saline. If using hydrogen peroxide solution a minimum soaking time of 6 hours is required for the acid to neutralise to saline. Step 2 Fill the bowl of the lens with a lubricating eye drop or saline solution. If using the tripod method, place the lens on the middle finger, index finger and thumb. 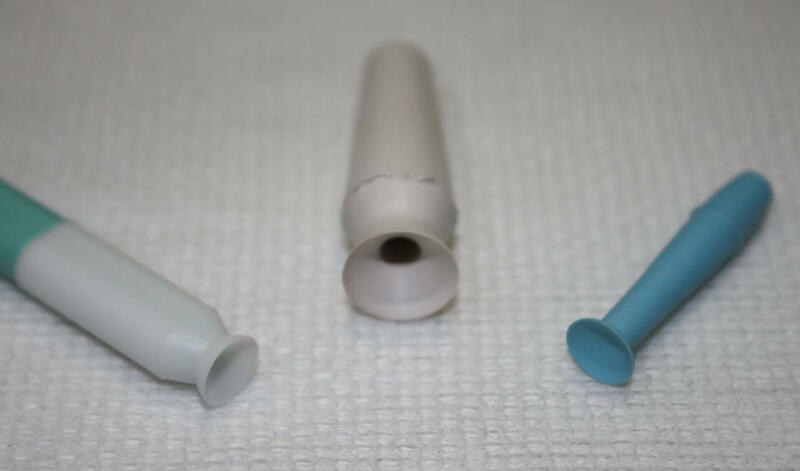 If using a suction tool, place the lens on the tip of the scleral suction tool. Ensure you are facing down horizontally, looking into a flat mirror. Reach around with your dominant hand to lift up the top lid, and use your non-dominant middle finger to hold the lower lid open. Using the mirror, place the lens on the eye. The suction tool must be squeezed to release the lens. To save confusion, it’s a good idea to always insert the right lens first. Step 3 If you happen to drop your lens, use saline solution to rinse. Place the lens in the palm of your hand and rinse thoroughly for 5 seconds. Step 4 Dry and wipe out your lens case with a tissue. Leave the case lid off to air dry while wearing your lenses. You may experience some discomfort if the lens is not in place correctly on the eye or if a foreign body, such as an eyelash or make-up pigment, is trapped underneath the lens. If this is the case, remove the lens and reinsert. CAPTION: Tripod method. A rubber inserter can also be used to hold the lens if dexterity is a problem – ask your optometrist about this. CAPTION: Different suction tools available for scleral lenses. Always clean your lenses after wear. An effective cleaning process is vital to ensure comfortable, hygienic and infection-free contact lens wear. With correct cleaning, contact lenses will feel better on your eyes, allow better eye health and vision, and dramatically reduce bacteria and other contaminants. 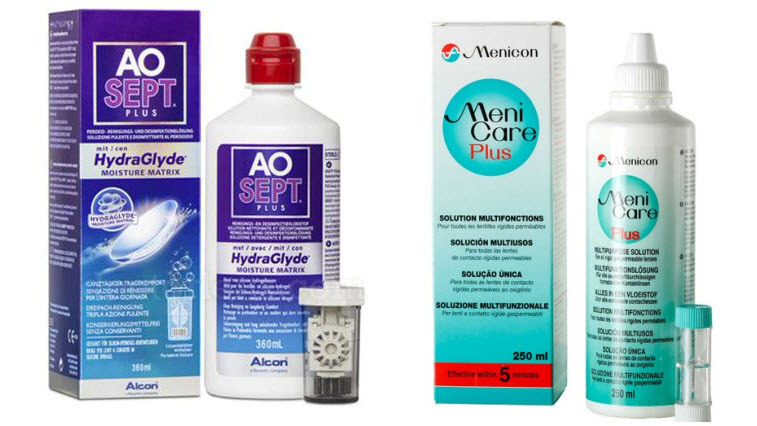 There are multiple types cleaning solutions: Peroxide based systems like AO Sept and multipurpose rigid lens solutions like Menicare and Boston Simplus. There are several steps involved in cleaning and storing scleral lenses that vary depending on the system. To clean: Place a few drops of multipurpose contact lens solution on the palm and the lens, then rub with your finger-pad for at least 10 seconds on each side. The back surface (concave) is best cleaned by moving your thumb across the surface. This step removes material that deposits on the lens during wear. Whilst Ortho-K lenses are strong, with incorrect technique or too much force they can break. 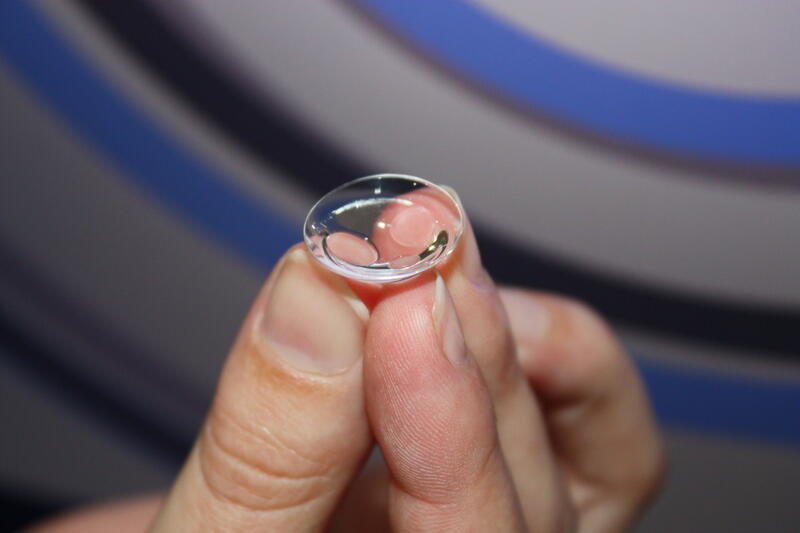 Scleral lenses are made of a strong polymer which resists damage in normal wearing circumstances. It is very rare for a lens to break in your eye unless something hits your eye or your removal technique is incorrect/very forceful. 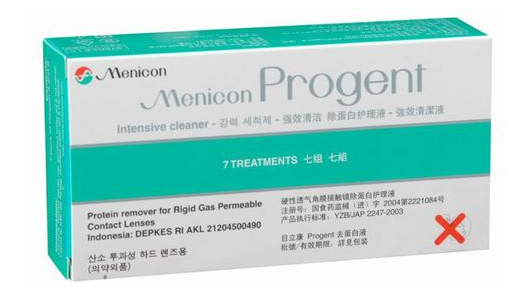 The solutions you use to clean your lenses will not weaken or degrade them ‒ not even the powerful Progent fortnightly deep cleaner. However, they can still break if mishandled. There are some tricks you can learn to minimise this chance. Forcing the lens to bend excessively while cleaning. Some friction force is required to clean a scleral lens using your cleaning solution, but not too much. The resistance from your skin surface will be sufficient to clean the lens. If too much force is applied on both sides of a scleral lens, the lens will flex and eventually snap. Normally a lens will take less than one week to arrive from the lab when ordered. If you are very dependent on the lens, we will of course ask our lens company to manufacture it as soon as possible. Because of the inevitable waiting time, we encourage all scleral lens wearers to have a spare set of lenses available for a situation where a lens is lost or broken. We also offer 50% off the full price for a spare lens if purchased within 12 months of the original. Never clean or store your scleral lens with soft contact lens solutions. These products work in a different way to the scleral lens solutions and will not clean and condition your scleral lenses.